How can the Wizards help you raise money? 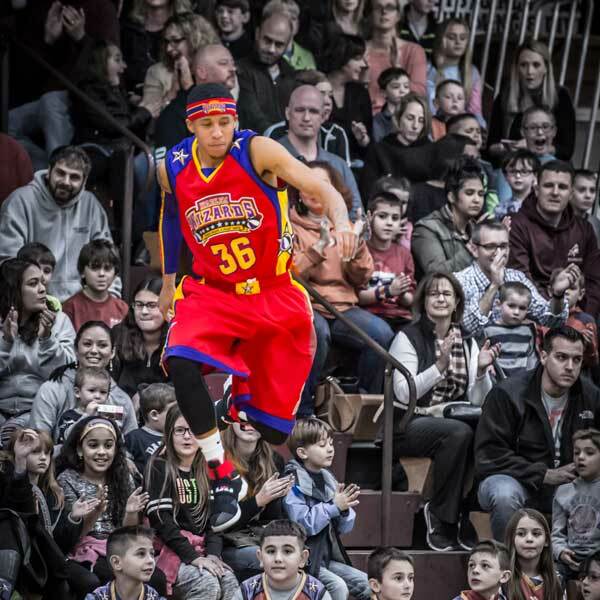 Trick Hoops and Alley Oops! 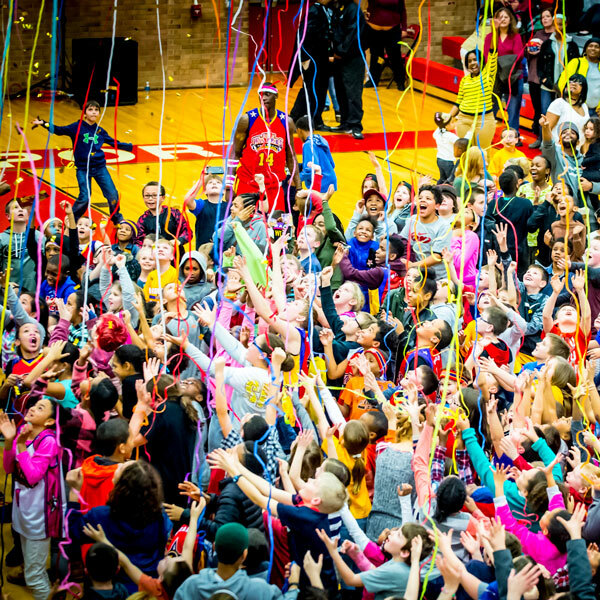 Whether you are a PTO/PTA, an education foundation, a booster club, a junior class, a project graduation, or a non-profit, charitable organization, the Wizards can pump up your fundraising while providing an enthusiastic community building event. 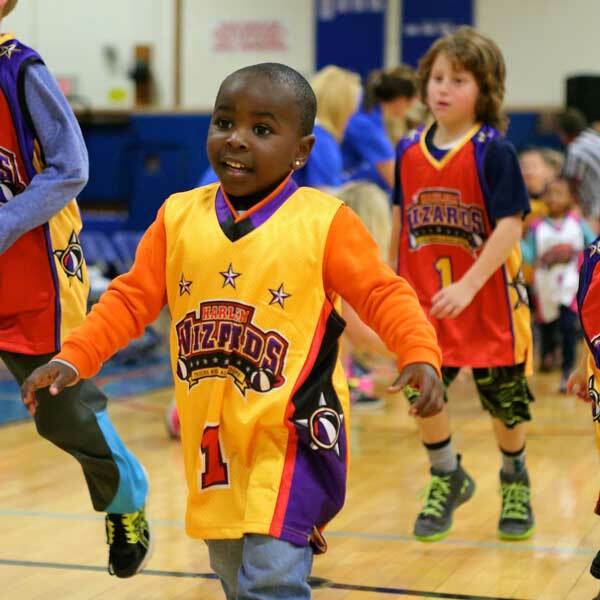 Since 1962, the Wizards have helped organizations like yours create fundraisers that exceed expectations. 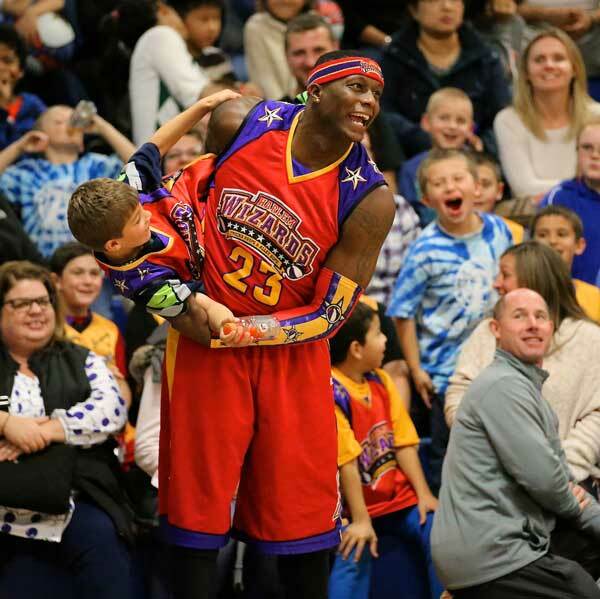 We are a family business and we are passionate about giving your community a world-class, laugh-a-minute, high-flying, interactive show on a basketball court. Let our knowledgeable sales team walk you through what it takes to produce a wildly successful event. Without a doubt, far more than just "entertainment." 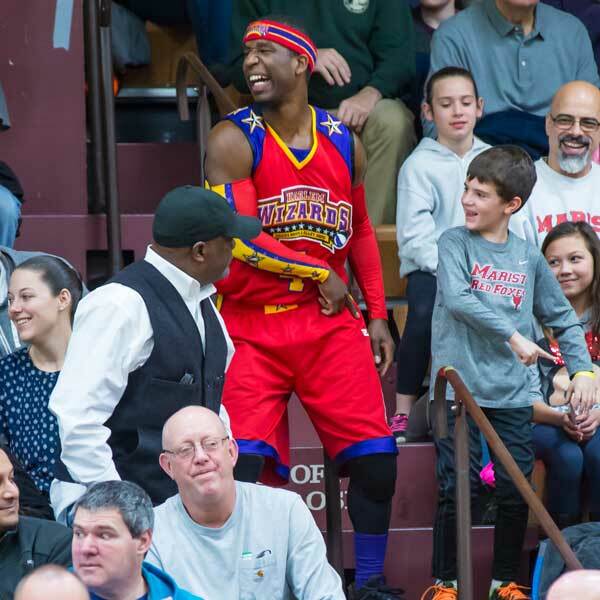 The Harlem Wizards delivered on every promise and then some! 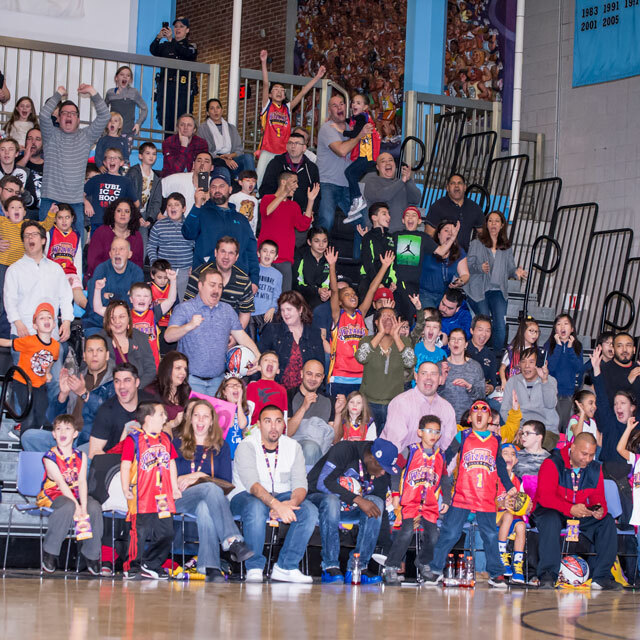 It took only a quick glance at the packed house to recognize the smiles, hear the laughter, and observe the unbridled enthusiasm of everyone there. These are “real deal” role models in a world where great role models appear to be in short supply. 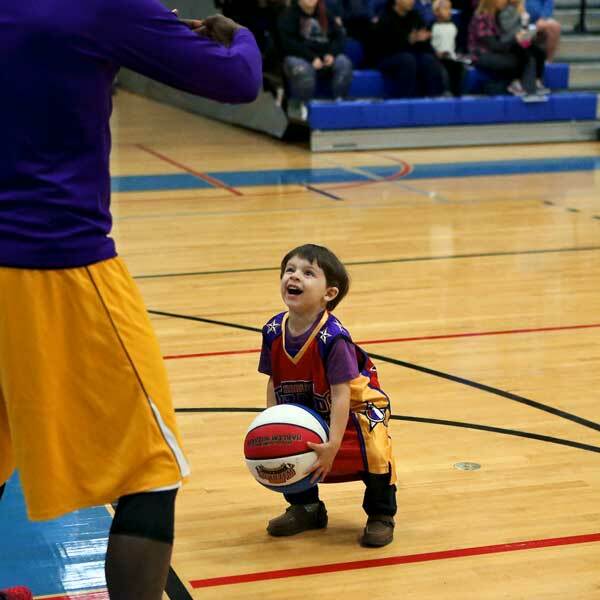 Clean, action-packed basketball with a generous serving of laughter and great fun for all ages. 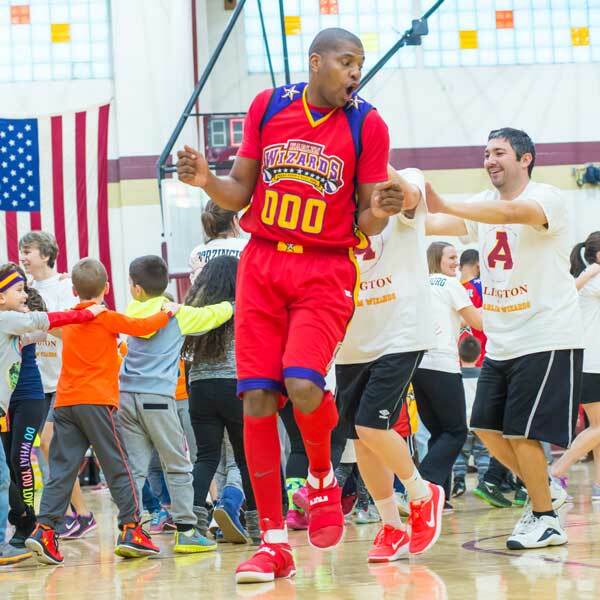 "The Harlem Wizards coming to our school was by far the biggest fundraiser we have ever done. It was an amazing experience for our kids and adults alike. 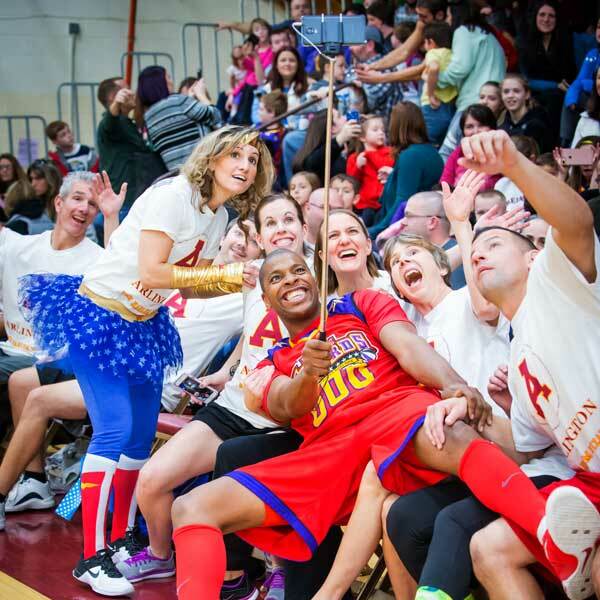 This was the perfect way to blend raising money while having tons of fun!" The overall response to the game was incredible. The players, DP and Joe truly made this a show that the entire family was excited about! I would recommend this to ANY school. We were very nervous about this game because it was a first for our town and I couldn't have been happier with the result. The team was SO helpful the entire time! It was an all around GREAT experience. All members of the team were very helpful and a total pleasure to work with. We have already received nothing but compliments and praise for the event. Great for the children and our whole community. Communication was good, clear and timely. Good online resources. 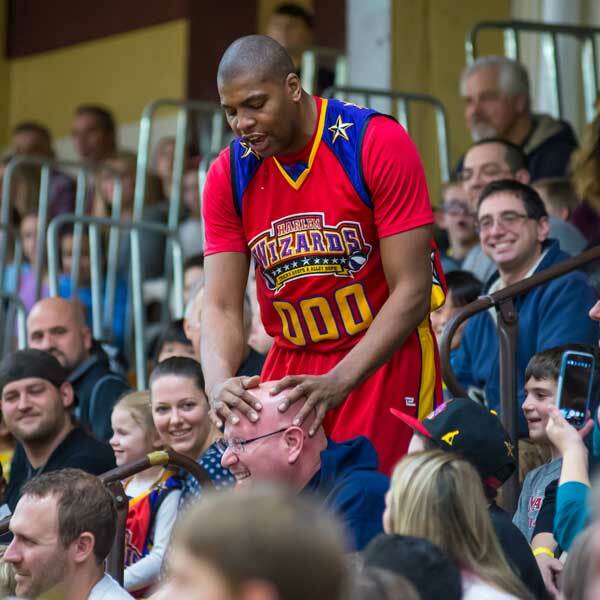 The Harlem Wizards are the real deal when it comes to family entertainment and crowd interaction. Slam dunks and high flying antics brought people to the game, but what they left the game talking about is how much they laughed and enjoyed themselves. 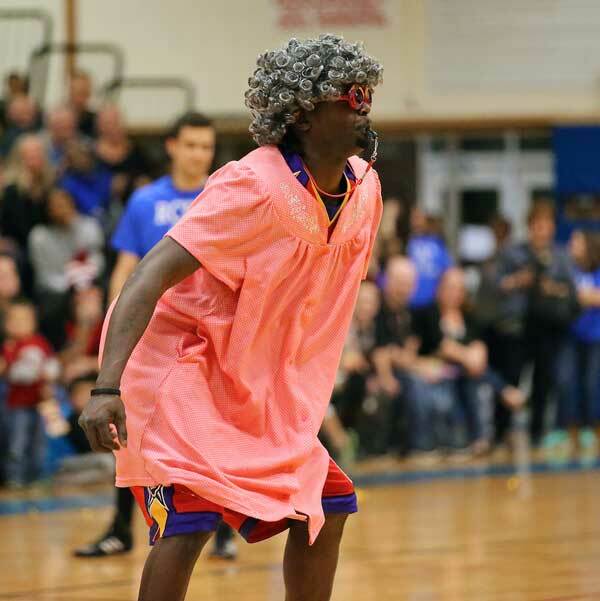 The highlight of the night for me was when all the children came out of the stands and danced. All you could see was cameras and smiles through out the stands. One middle school student told me after the game, "This was the best day of his life!" This was the easiest event I've ever done! The support team gave us everything we needed to be successful, including the handbook playbook. The event far exceeded all of our expectations and the attendees had a great time. The school assemblies were awesome and the kids loved it! As the organizer I heard nothing but positive comments and kudos - not only for our organization of the event, but how wonderful the event was! Personally, I've never seen so many smiling faces in the audience. The kids have been talking about it nonstop and Face Book posts have been phenomenal. I must tell you that I have been doing school fundraisers for a very long time and this is by far my favorite one!! This event was beyond amazing! The players and Joe were amazing to work with and helped make sure things ran smoothly. The community was amazed by the performance and are already asking when they will be coming back! This was amazing for our community. I appreciated how organized everyone was, from the support person to the players! I can not say enough about your organization. From the first phone call to closing out at the end of the show everyone was amazing making sure that we had the best experience. DP and his team are AWESOME! Kids came to school the next day talking about the awesome time they had, wearing their autographed items purchased at the game the night before. Parents, teachers and students are still talking about the great time they had! Thank you so much. This is the third time we have had DP here and this was the BEST, MOST AWESOME show of all times! Keep up the great work! 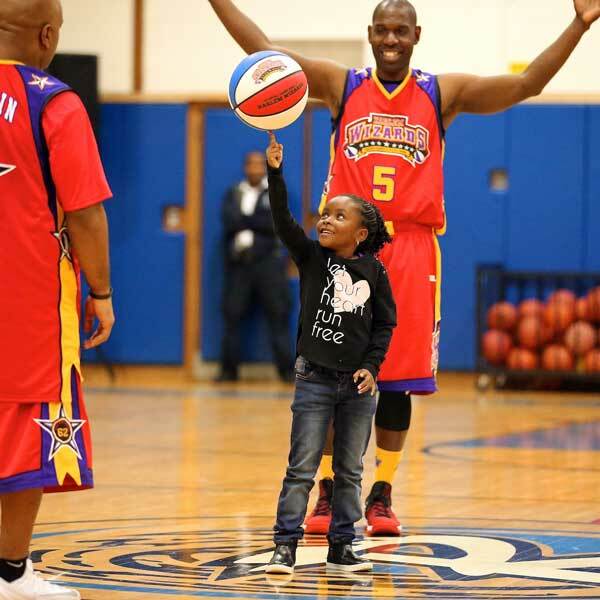 Our event was a success due to the fantastic personalities and skills of the Wizards. I had high expectations but they were surpassed -- I'm still smiling 24 hours later! Feel free to put me on your reference list! Broadway led the show with great skill. What a team you have! On behalf of our Mayor Craig Wilkie, residents, students, school district, families, friends and of course the Florence Township Education Foundation ... 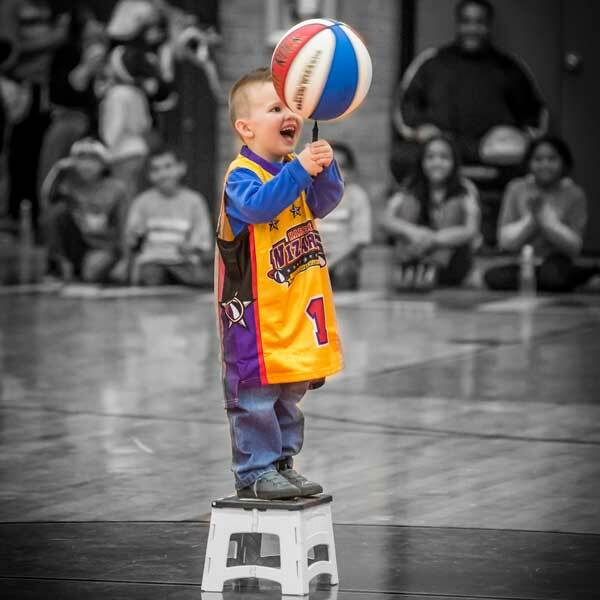 THANK YOU FOR AN AMAZING EVENING OF HARLEM WIZARDS BASKETBALL!!! Collectively we have continued to work to provide various community related activities for our community to enjoy. The importance of bringing our community together to provide an opportunities for children and families to build friendships, local organizations to be supported and in turn show support and allowing for endless smiles, laughter and memories that last well beyond events are all things that we strive to achieve. 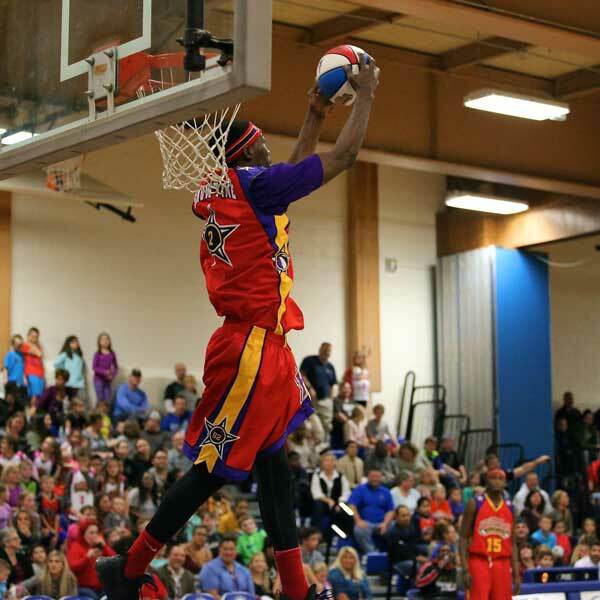 The Harlem Wizards that flew thru the air in our gymnasium provided all of the above! This was the most interactive, entertaining fundraising event we've had since our doors opened in 2011. It was so nice to see not only the students participating, but the staff as well as the parents too. 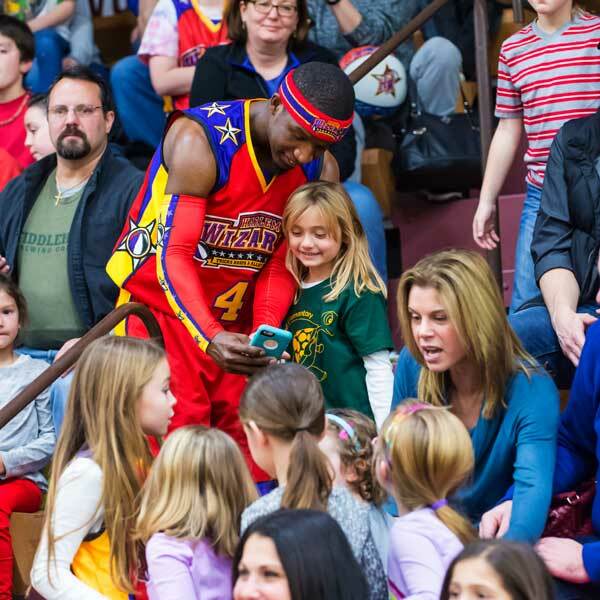 Nobody puts on a better show, at an affordable price, as the Harlem Wizards. This was, by far, the best family-oriented entertainment that has come to our town. Our PTO was so thrilled by the fundraising outcome. 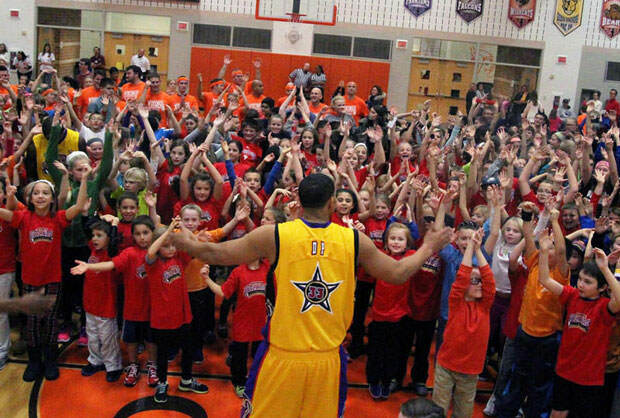 Even though this was our first year holding the event, booking the Wizards for next year was a no-brainer! The sales representation helped tremendously throughout the planning. They were very responsive and provide the needed support. 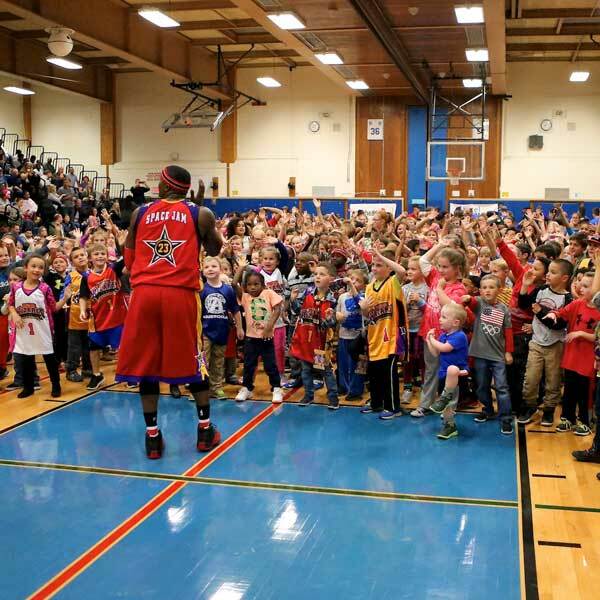 The players were perfect - they put on a awesome energizing show, they worked the schools well and they were very professional working with us on the event day details.